Using tablet-based informed consent is convenient, eliminates the risk of lost paperwork and often can help expedite care. However, healthcare experts still believe that older adults prefer a paper-based consent process. Workers who earn less than $35,000 will be eligible for overtime pay under proposed regulations released by the Labor Department in March. Nearly half of newly licensed nurses work overtime, while more than 1 in 10 have a side job, and these long hours and moonlighting factors may jeopardize patient safety and a nurse’s own well-being, according to a new study. An innovative alliance is using telehealth technology to enable patients with complex medical needs to leave the hospital sooner and shorten the time they spend in rehabilitation before returning home, all while potentially reducing the overall cost of their care to Medicare and other payers. The staffing crisis plaguing long-term care entry level nurses appears to be trickling upward to impact nursing leaders. Results of a new analysis show that staffing shortages are damaging nurse leaders’ job satisfaction rates, hastening burnout among the top ranks. 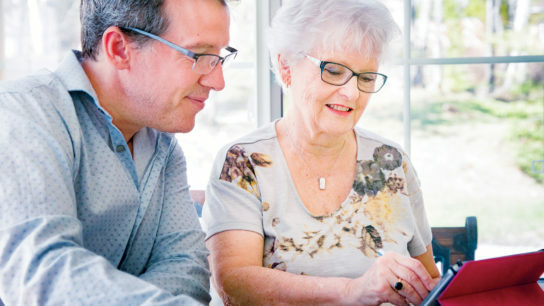 Long-term care directors of nursing have lower rates of bachelor’s degree attainment than their counterparts in acute care, even though research shows that acute-care patients have better outcomes when nurses have the degrees. One-third of all skilled nursing residents experience temporary harm or adverse events during their stay, and about 60% of those instances are preventable, according to a report by the Office of the Inspector General. Some 1.7 million female healthcare workers live in poverty, according to a study by researchers at Massachusetts General Hospital and the Perelman School of Medicine at the University of Pennsylvania. Technology manufacturers continue to invest heavily in healthcare innovations for older adults. That was clear by the wide range of devices to help improve the lives of seniors and those who care for them that were highlighted at the 2019 Consumer Electronics Show Jan. 8-11 in Las Vegas. Despite laws passed in 32 states requiring health insurance coverage and payments to virtual medical providers, most American adults still receive care from physicians in person rather than via remote technology, according to a research letter published in the November JAMA.